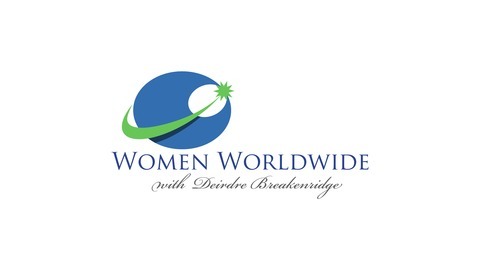 After 20+ years of mentoring women and professionals in business and marketing communications, Deirdre Breakenridge, an author, speaker, professor and consultant, takes to the Internet radio waves–launching her podcast, Women Worldwide. 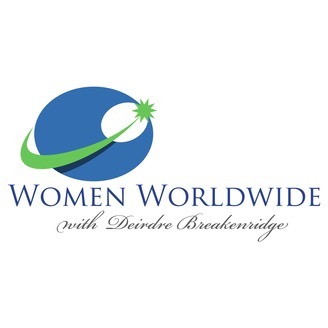 Interviewed by Breakenridge, women around the globe will share their incredible stories; those who have experienced the heights of success and at times, the agony of defeat. With a vision to impart wisdom and advice on tackling barriers and soaring to new heights, Women Worldwide uncovers different perspectives and approaches to help listeners find their inner strength. “After tragic stories of young women being harassed and cyberbullied, seeing how the media portrays women, and women being under represented in media, it’s time to power up the voices and get more women energized through a caring and supportive network of people who know what it takes to achieve success. These women are not afraid to discuss their challenges or even failure along the way,” says Breakenridge. Donna O’Donnell Figurski and her husband David were just going about their normal morning routine when something went terribly wrong in David’s brain. When he was doing his morning workout, his brain started bleeding while he was doing his 13th chin up. He felt pain, but thought it would be okay. After a short time, Donna called the paramedics, and it led to a life or death situation, several surgeries, and Donna unwittingly becoming a caregiver before she even realized what that role meant. Donna is here today to talk about traumatic brain injuries and the role of a caregiver. She shares her story, and gives a lot of pointers and advice for people who find themselves in this situation. She stresses asking for help and taking time for self care. Donna is the author of Prisoners Without Bars: A Caregiver’s Tale, and you can find her writing and speaking about this topic online and in magazines. She also publishes children’s stories, but her greatest accomplishment is being caregiver for her husband and high school sweetheart. [04:01] On January 13th 2005, Donna's husband David did 13 chin ups during his morning workout and something burst inside his head. [05:33] The pain in his eye and head was so bad that Donna called the paramedics. He had a bleed in his brain. He had emergency surgery with a 1 in 20 chance for success, and Donna was instantly turned into a caregiver. [08:39] Donna was glad that she happened to be at home during that time. Things could have turned out a lot worse. [09:21] It took many years, before Donna realized that she was a caregiver. It never crossed her mind until she wrote the book. [11:06] Things are a lot easier now 14 years later. At first, she had to help him with everything. [12:43] The surgeries and all of the treatment was a huge hurdle for Donna. [14:32] Donna never believed that all of these problems would be forever. The neurologist always gave them hope. [15:40] They kept going towards the little glimmer of light at the end of the tunnel. [17:18] She got David transferred to Columbia Presbyterian after the neurosurgeon said David would be a good organ donor. [19:22] She knew that the transfer was the right thing to do. [23:50] Donna learned that she was stronger and more capable than she ever thought she was. [24:55] Donna had to take over all of the jobs that David used to do including paying the bills. [26:26] She had to step up and learn and now she does everything even the taxes. [26:59] It's important for others to know your partner's job, so you can take over if you have to. [28:13] At the beginning, Donna accepted help from family members and close friends. On the first day of surgery the nurses and the receptionist took care of her. They were her support system until family arrived. When everyone left she was on her own. [30:59] Donna used the email updates she sent as fodder for her book. [31:24] David's also helped with his students and his lab. His students even came in while he was in rehab. He had his cognitive abilities, he just had physical issues. [33:56] David was a keynote speaker a year-and-a-half after his injury. Donna credits the man who invited David to speak for giving David back his scientific life. [36:09] At the time, Donna lived in the moment and just dealt with the stress by getting stuff done and keeping her head in the sand. She now encourages caregivers to take me time. [38:03] Donna puts little stones in her pocket to remind her to take me time. [40:06] Donna needed some time alone to cry when things first happened. She didn't want her kids or David to see her upset. David said he wasn't worried because he know that Donna was there taking care of everything. [41:46] Take care of yourself. Get some stones for reminders. Accept help. [42:42] Don't take it personally when someone has brain injuries. Don't be afraid of people who are different. They are just people.